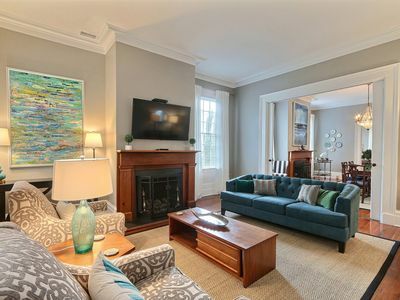 This beautifully remodeled townhouse overlooks tranquil Washington Square, it’s namesake. 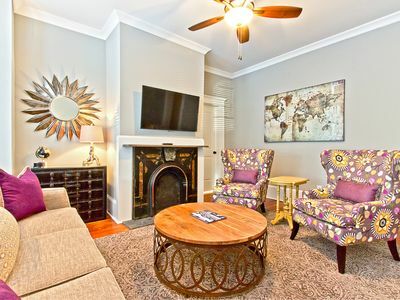 This pet friendly home has everything you’ll need for a comfortable and memorable stay in Savannah. 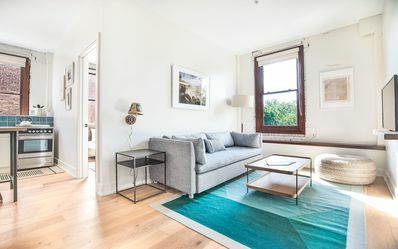 Entering in the foyer, you’ll immediately notice that the original hardwood floors have been preserved, while the home has been tastefully updated with modern decor and features. 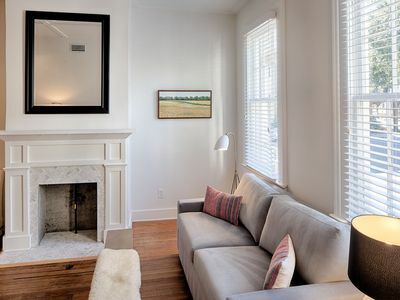 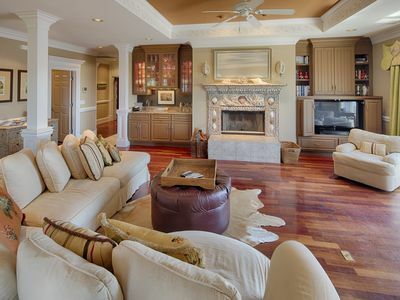 To your immediate right is a large open living space, which features two decorative fireplaces original to the home and updated for a clean, modern look. 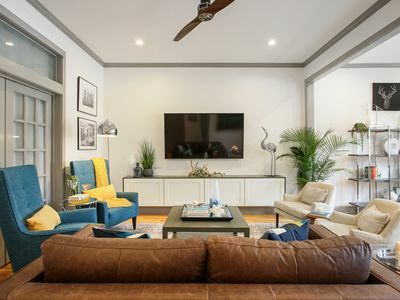 Tastefully decorated with a neutral pallet, the living space has two couches, including a luxurious sleeper sofa, and a large flat screen TV, and plenty of natural light streaming through the windows. 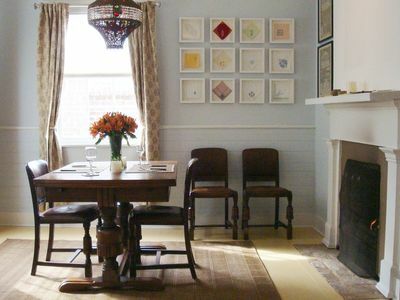 Just outside of the adjacent kitchen is a large wooden table with seating for six, perfect for dining in. 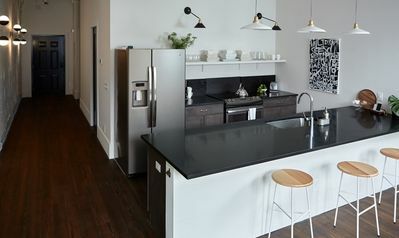 The fully renovated kitchen has all the modern conveniences you could need, including stainless steel appliances. 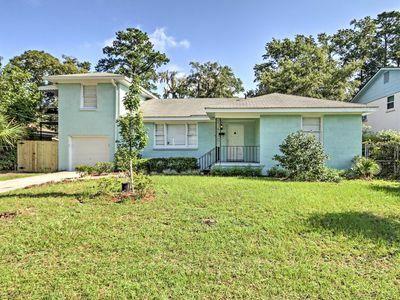 A full bathroom with a shower/tub combo is conveniently located on the first floor. 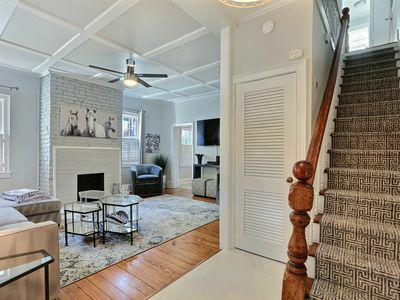 At the top of the stairs you’ll find the second full bathroom with a full vanity, tiled shower, and stackable washer and dryer for added convenience. 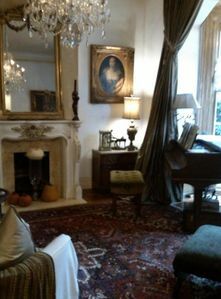 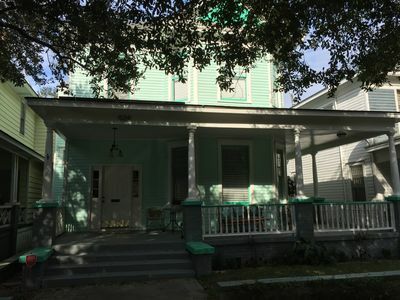 The first and second bedrooms both have queen sized beds and unique pieces adding to the overall charm of this historic home. 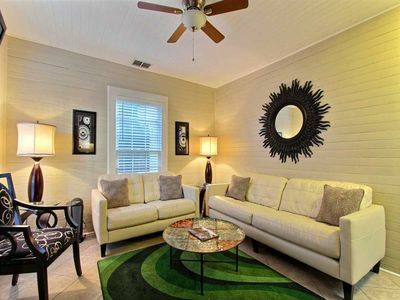 The third bedroom has a unique built-in twin bed, a hideaway perfect for a child. 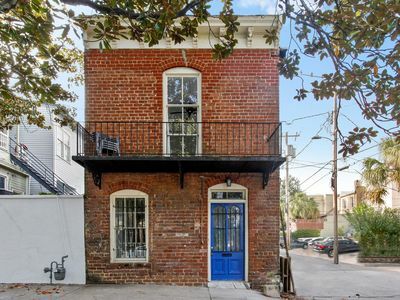 This home around the corner from the world famous Pirate’s House, which first opened in 1753 as an inn for seafarers, and quickly became a rendezvous spot for pirates. 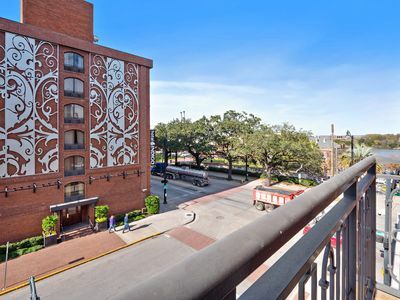 You’ll be a short walk away from River Street, where you can shop and dine in renovated cotton warehouses as you watch ships make their way down the Savannah River. 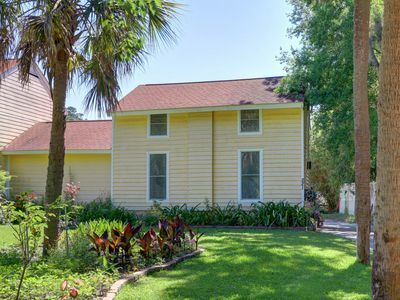 - You’ll be a leisurely 20 minute walk away from Mother Matilda Beasley, the only dog park in the Historic District. 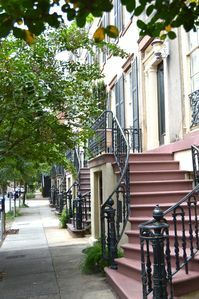 - Enjoy an evening stroll to Leopold’s Ice Cream, a local’s favorite and the perfect way to spend any Savannah evening. 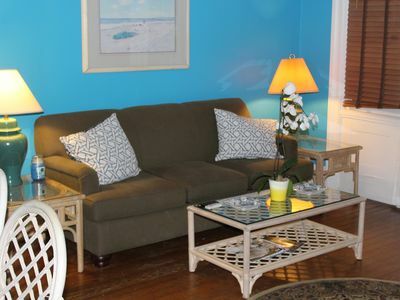 - Just down the street is Cha Bella, a farm to table restaurant and popular location for wedding receptions. 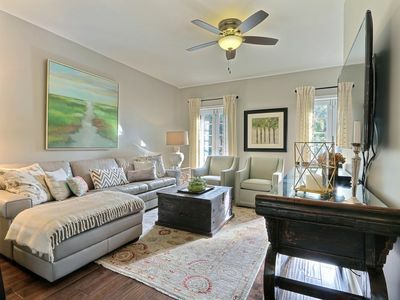 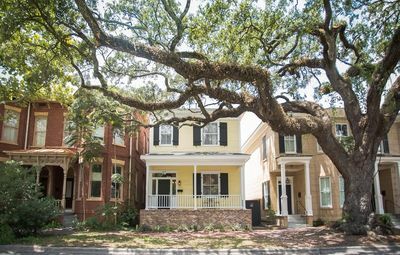 Stay with Lucky Savannah: Historic 3 Bedroom Home on Oak Shaded Tattnall St. 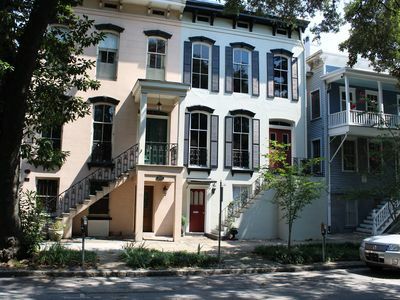 In The Heart Of Historic Savannah, just off famed Chippewa Square.